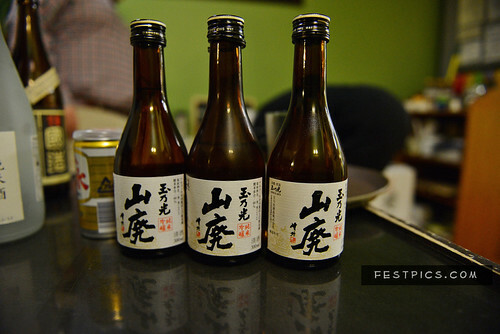 Home » events » sake dinner. 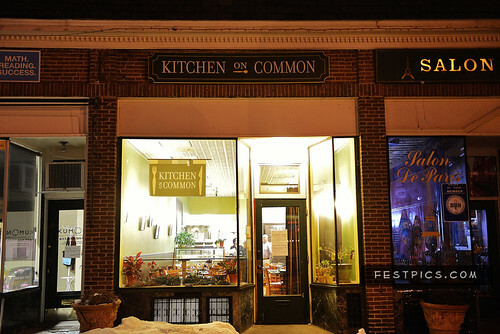 kitchen on common. belmont ma. sake dinner. kitchen on common. belmont ma. 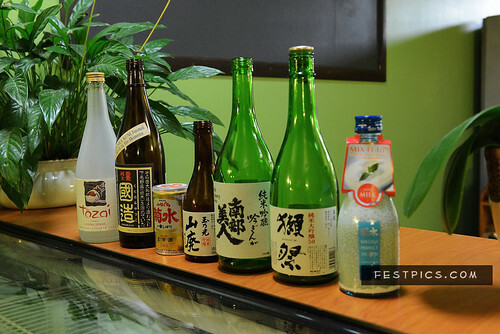 Many people think of only pairing Sake with sushi; however, people are realizing that Sake pairs well with many foods. You can find nice small Sake selections on French menus and at Mexican restaurants. 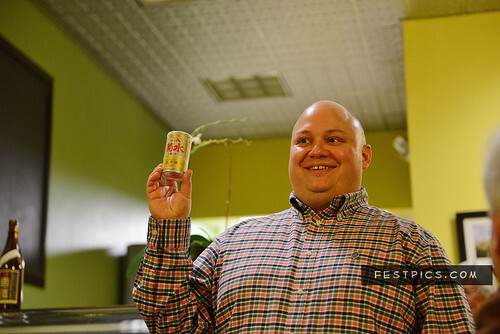 More people are experimenting with Sake and casual foods like pizza and burgers. Last fall, we got together with the Japan Society of Boston for a night of Sake and burgers which surprised everyone who attended with Sake’s versatility. It was an event that we’re sure to repeat. 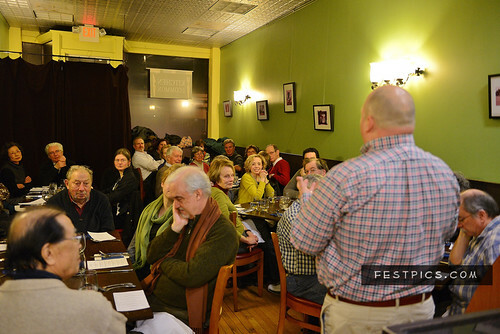 A few weeks ago I lead another Sake dinner that also pushed the perception of what foods Sake could go with. The chef and owner of Kitchen on Common in Belmont, Joh Kokubo, contacted me about a dinner that would pair seven different Sake with a seven course menu. Chef Kokubo is trained in classical French cooking but has a Japanese heritage; for this reason, he has always wanted to try a Japanese twist on French cooking. 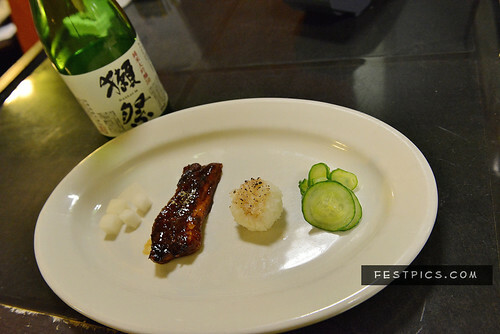 This dinner was a perfect chance for him to play with this idea and for me to pair everything with Sake! After seeing Chef Kokubo’s menu ideas, I selected different Sake for each course, allowing the guests to have delicious pairings and showcasing the variety and versatility of Sake. Working with Chef Kokubo was a highly enjoyable and rewarding experience; his knowledge of French cuisine and local ingredients are a great match with my knowledge of food and Sake pairings. Hopefully this team effort will be repeated in the future for another dinner. An unexpected benefit of dinner at Kitchen on Common was having an amazing wine, spirits, beer, and gourmet food shop next door. 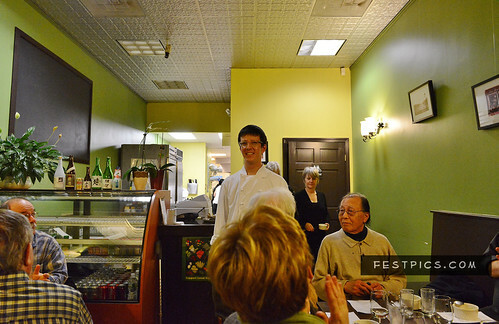 The Spirited Gourmet was not only helpful with procuring some Sake but also sold the dinner selections at their shop. I have been to many events but have never been able to walk next door to buy the Sake I liked best. The Spirited Gourmet is also a store that I will make of point of going back to: a great selection of Sake and beer as well as wine and gourmet foods make this a welcome spot in Belmont. 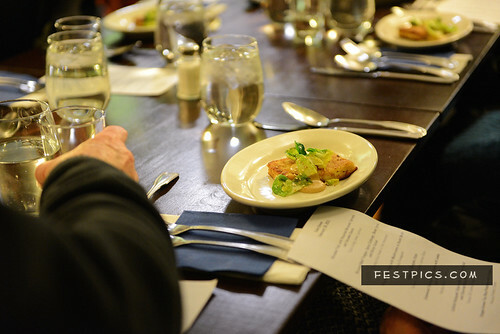 A beautiful start to a large dinner with the lightness of gently fried tofu topped with the fresh “green” and caramelized notes of roasted brussels sprouts and the nuttiness of sesame sauce. Tozai’s sweet and light fermentation notes of apple, pear and slight rice finish was a perfect pairing for this light dish. 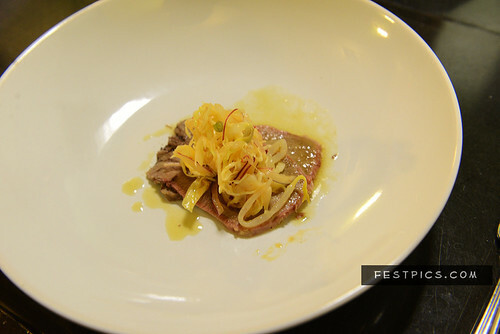 When I saw beef tongue on the menu, I immediately thought of Tentaka; with its huge nose of earthy yeast and koji aromas I knew it would pair well with the earthy beef notes of the tongue. The fresh vegetable flavors of cabbage, sprouts and onion paired well with Tentaka’s nutty and grassy notes that are the hallmark of this food friendly Sake. A big boldly flavored dish of duck eggs cooked onsen tamago style in dashi broth with seasonal mushrooms. This powerful dish needed a powerful Sake to pair with and I found that in Kikusui’s Funaguchi Genshu. A full strength and full bodied Sake (19%) with huge rice character and notes of pear and peach was a good compliment to the silky thick texture of the egg and mushrooms. Yamahai Sake is made using the older method of yeast starter, letting the lactic acid develop naturally, this gives this style a lively and gamey acidity. Tamanohikari Yamahai Junmai Ginjo balances this higher acidity with delicious rice notes. Paired with earthy eggplant and the acidic twang of dark miso, this was a wonderful pairing. A refined version of a country style Japanese classic; local turnip simmered in stock and served with a ground pork sauce and leeks. Nanbu Bijin’s gorgeous Junmai Ginjo is made with a strain of rice local to the brewery’s area that was discovered and re-grown after an 8 year project. The super clean rice-forward flavor comes from not only the superb rice quality but the unique well water inside the Kuji family brewery. 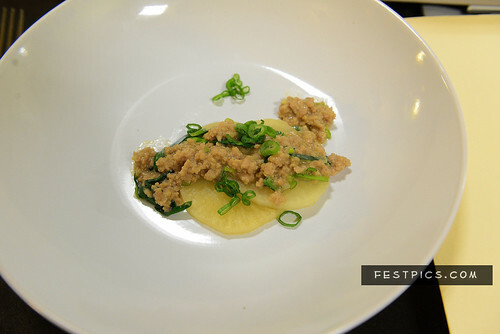 A wonderful match with juiciness of local turnips and the clean earthiness of a ground pork sauce. A tender dish of fresh catfish cooked in the style of kabayaki, broiled with a sweet soy based sauce. With its accompaniments of cucumber salad, pickled radish and charred rice ball, this is a flavorful but delicate dish. With a dish this delicate, Dassai 50 Junmai Ginjo is an excellent choice with its expertly crafted white peach, apple and anise notes balanced with delicate aromas of rice and fruit. A wonderful end to a fantastic meal, this riff on a classic added Japanese flavors to the rich texture and creaminess of rice pudding. Kikusui’s Perfect Snow is the boldest Nigori Sake (cloudy Sake) out there. Its huge milky and almost milkshake-like consistency coupled with powerful fruit and spice flavors make this a great pairing with a rich dessert. At 21%, this unusually strong Sake also cleanses your palate between bites so you can enjoy every sip. For the full set of photos see our Flickr site.